Today’s tutorial on Splitcoast is for the Double Z-Fold card. It looks like a Gatefold card closed, but has another fold to it when you open it up. I think it’s a great fold for invitations. My card base is a 5 1/4″ x 12″ piece of Textured Kraft cardstock scored at 2″, 4″, 8″ and 10″. 1 1/2″ x 4 3/4″ pieces of My Mind’s Eye Lost & Found Two Blush paper were stitched to a 1/4″ bigger piece of Neenah Solar White cardstock before they were adhered to the card base panels.A Rhinestone swirl was cut apart. Part was adhered to the upper right, the rest to the lower left of the card base. A piece of white cardstock was cut and embossed with one of the Beaded Circle Nestabilities dies. 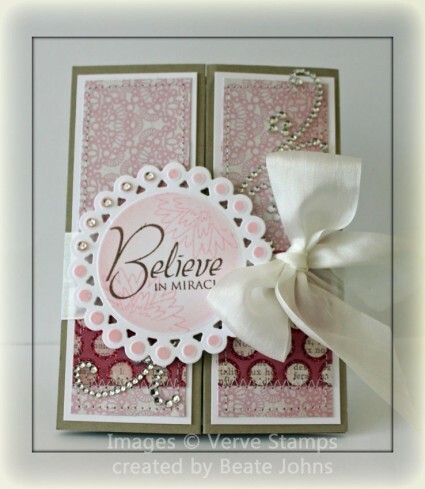 It was sponged with Spun Sugar Distress ink before a sentiment from Verve Believe Stamp set was stamped in its center with Rich Cocoa Memento ink. A medium sized flower was stamped over the panel twice with Spun Sugar for a more textured look. White Silk Ribbon was tied around the card before the sentiment panel was adhered with dimensionals. Baby Bling Rhinestones on the upper left hand side of the sentiment panel finish off the card front. The inside is very simple. 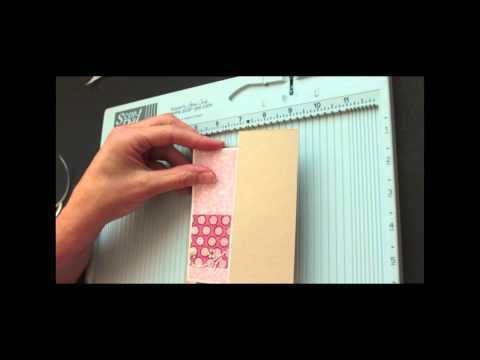 A 2″ x 3 3/4″ strip of Blush Paper was stitched to a 3 3/4″ x 5″ piece of white cardstock. 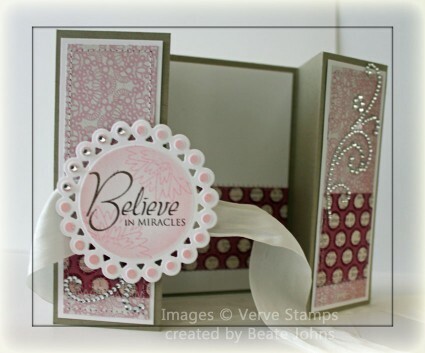 Beate, this is wonderful card with a special twist! Can’t wait to try it! Love this card Beate!! So beautiful both inside and out…what fun for the person who receives this…like opening a present! Thanks for sharing the video as well! Beautiful card! Very soft and delicate feeling! This is so gorgeous! 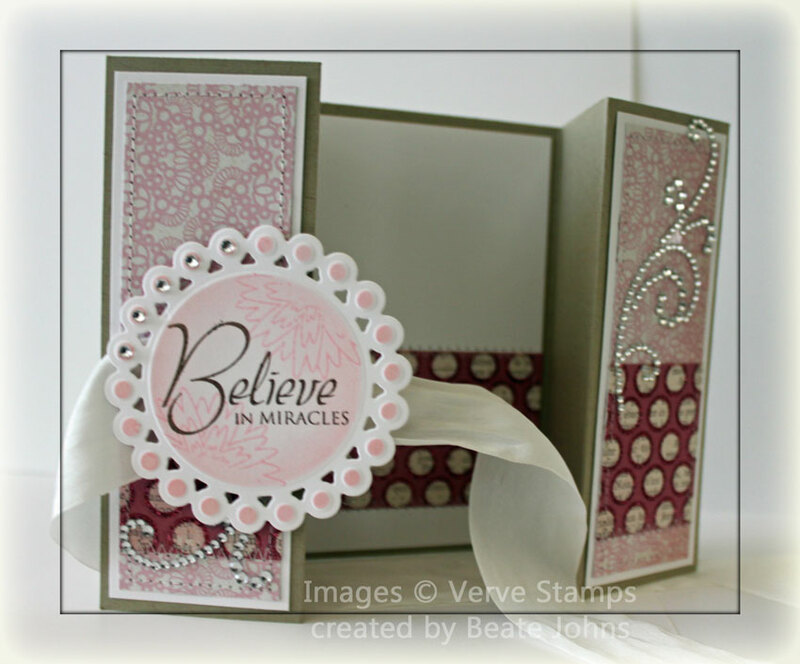 Love your sentiment panel – so stunning! Ein traumhaft schönes Werk in wundervollen zarten Farben. 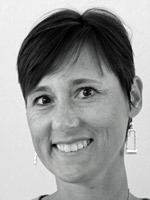 Liebe Beate, ich bin mal wieder total begeistert von Deinen sensationellen Werken der letzten Tage, alle zum Schwärmen schön. Saw this on SCS yesterday and thought it was beautiful! GREAT tutorial Beate!! Such a pretty card! I love this shape and the way how you decorated it!!! Fabulous work as always my dear!! Ya, I’m back & I have so much to catch up on. I haven’t had access to a computer for a couple of months. Beate as usual you have made another beautiful card. I’ve missed checking in on my favorite creater. Thank you for sharing. this is so elegant and beautiful, Beate! love it! Hi there! Just wondering if this magnificent Double Z fold card fits into an envelope for and A2 Card?